The Blackheath Masterplan was adopted by Council at the meeting of 19 September. The final Masterplan can be accessed on the Council website at www.bmcc.nsw.gov.au. Further work to investigate a range of options for public parking provision, and options for its delivery , as well as further design work on the Town Square Proposal has been completed and is exhibited here for community comment. Council will review these comments and report back to the Council in September. Submissions will close Sunday 23 July 2017. The Council defered the Blackheath Village Centre Public Domain Masterplan at its 26 July 2016 meeting to allow further work to investigate a range of options for public parking provision, together with options for its delivery, in and around the village centre, with an accompanying options report. These amendments are now ready to view and are open to community comment here. The latest draft Blackheath Village Centre Public Domain Masterplan proposal was presented to the Council meeting on 26 July. The Council resolved at this meeting, to defer the item of the Blackheath Village Centre Public Domain Masterplan, to allow further work to investigate a range of options for public parking provision, together with options for its delivery, in and around the village centre, with an options report to be presented to the Council by February 2017. The final Blackheath Village Centre Public Domain Masterplan proposal presented to the Council meeting on 26 July is available to view in the Document Library. To view the Council report and Meeting Minutes please click here. Are you ready to read and have your say on the Draft Blackheath Village Centre Public Domain Masterplan. Click here to view the document and click here to have your say. 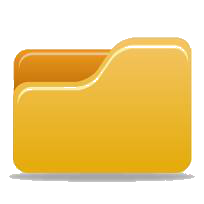 The following are available to download in the Document Library. Have Your Say on the Concept Masterplan here. Council has commenced a Masterplanning process for the Town Centre of Blackheath. This process includes two public workshops for residents to provide input before the draft document is presented at the Council meeting in February 2016 to be placed on public exhibition. You can view the introductory documents in the Library. Public Domain improvements will be integrated with infrastructure renewal. Follow the steps from 1-6 to get most value out of the Masterplanning Analysis stage. Management of traffic circulation and parking can shape streetscape potential. Understanding how traffic circulates and why parking in particular places is under pressure can lead to improved management with better outcomes all round - and allow development of pedestrian spaces. The tables in this section will help to inform a range of issues. You can view the traffic and parking data documents in the Library. The streetscape section of this stage of Masterplanning provides some analysis of the existing conditions and infrastructure and presents a series of "precedent pictures". The images are not meant to be taken as literal translations of what Blackheath could be, but contain ideas which may have some application to the town. Look at the analysis posters and add anything you don't agree with or you think is missing to the map in Step 4. You can view the related documents in the Library. Step 4: BLACKHEATH NOW: WHAT WORKS & WHAT DOESN'T?